This eye cream with a vanishing, velvety texture contains high concentration of active ingredient Allantoin known for its rejuvenating property. Rejuvenates the look, smoothes fine wrinkles, firms the skin around the eyes and on the eyelids and provides the skin with the necessary moisture, which helps to reduce eye bags, puffiness, dark circles and loss of elasticity. Laughter, facial expressions, frowns and repeated movements of the eyelids cause the appearance of wrinkles around the eyes. Over the years, wrinkles become deeper and more visible. The skin around the eyes is extremely soft, thin and delicate, so it demands particularly special attention and provide it with more care. 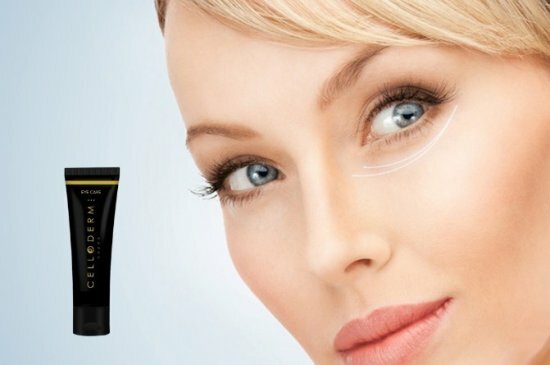 Celloderm cream for the eye area is rich with an active ingredient Allantoin which in a natural and gentle way deeply stimulates skin cell renewal. It helps to smooth wrinkles around the eyes, hydrates the skin and gives it a fresh, brilliant look. 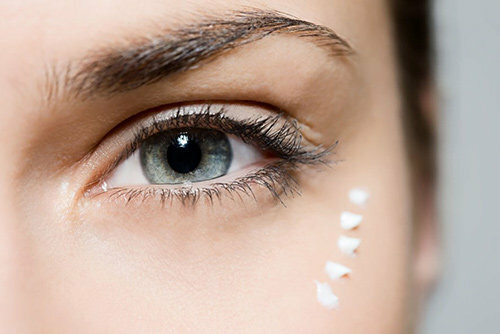 Eye bags and dark circles around and under the eyes indicate a lack of necessary moisture and give you a tired look. It is therefore necessary to hydrate skin regularly and in increasing rates, so it can look more freshly, relaxed and beautiful. Celloderm cream for the eye area is recommended to use twice a day, in the morning and in the evening before going to sleep, to keep your skin radiant and shiny, rested and rejuvenated.